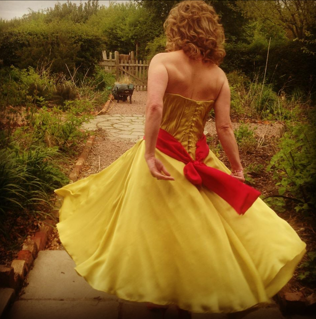 Hannah Wilkins-Webb is a highly regarded Shropshire based designer creating bespoke garments for evening and special occasions. Hannah offers a bespoke design service, so that you may have any garment made to your measurements ensuring a perfect fit. Hannah works closely with each client from the initial designs through to the finishing touches. The design can be as simple or intricate as you wish. Each design is individual and one off, making every garment completely unique. Whether you are attending a special occasion or just can’t find that gorgeous item that you are looking for, please contact us for details.